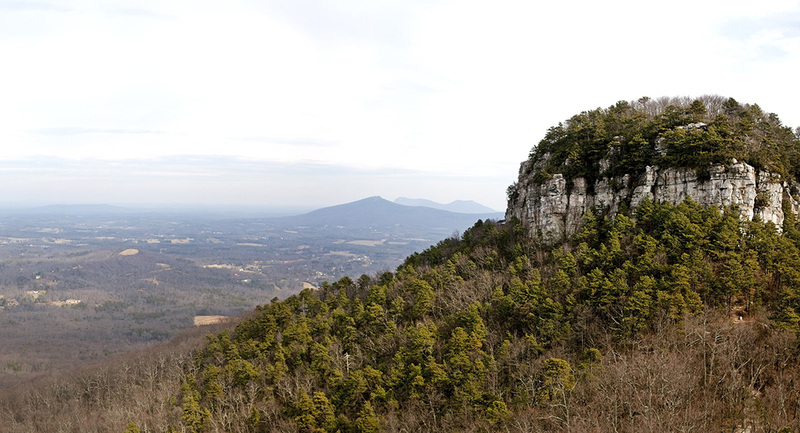 Editor’s note: This is the second post in a series about the ways our Energy Savings for Appalachia campaign is expanding to increase access to energy efficiency programs in western North Carolina. Read Part 1 here. Appalachian Voices’ Energy Savings for Appalachia program is expanding in western North Carolina. Throughout 2015, we engaged with communities surrounding our Boone, N.C., office about the widespread benefits of energy efficiency. Now our local electric membership cooperative, Blue Ridge Electric, is offering the Energy SAVER Loan Program, an on-bill financing program for residential energy efficiency upgrades. After achieving success in the North Carolina High Country, we are expanding our efforts to additional electric cooperative service territories. To the east of the Blue Ridge Electric territory is the Surry-Yadkin Electric Membership Corporation (EMC). Surry-Yadkin EMC provides utility service to over 27,000 people in the beautiful Yadkin Valley and surrounding areas. This region, nestled in the Blue Ridge Mountains, is known for its agricultural heritage, vineyards and music festivals. Surry-Yadkin EMC currently offers programs that demonstrate its commitment to energy savings for its members, including rebates on the purchase of energy-efficient heat pumps for home and water heating. While these programs are healthy incentives for those in the market for an upgrade, most families cannot afford the upfront costs of standard efficiency retrofits which average $6,500, according to local weatherization programs. In Surry, Yadkin and Wilkes counties, which make up more than 80 percent of Surry-Yadkin EMC’s service territory, the median household income is approximately $7,000 less than the North Carolina average and $13,000 less than the national average. To put that in perspective, residents of the area who live in manufactured housing have stated that their energy bills are 25 percent of their monthly income in the winter. More than half of all the housing units in the area are at least thirty years old and likely have common needs for efficiency upgrades. Members of Surry-Yadkin EMC are in an ideal situation for achieving high energy savings because the area experiences cold winters and hot summers. With proper insulation and air sealing, both heating and air conditioning can be maintained efficiently. If Surry-Yadkin EMC introduces an on-bill financing program, members could save on average over $100 each year on their energy costs while enjoying increased comfort and home health. 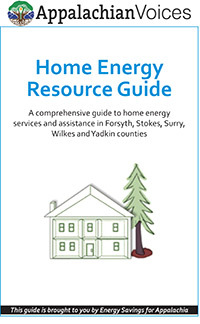 Download our Surry-Yadkin EMC resource guide to learn more about public and private home energy services and assistance in Forsyth, Stokes, Surry, Wilkes and Yadkin counties Madison, Yancey and Mitchell counties. Our Energy Savings for Appalachia team has met with community organizations to learn about the need for local residents to lower their energy bills and we’ve met with energy efficient businesses that recognize the benefit that energy savings can provide in job growth and increased local capital. In addition to developing these partnerships, we have presented to local groups about home energy improvements and options their utilities provide with the goal of increasing understanding about energy efficiency and successful programs across the Southeast. We are hopeful that we can work alongside Surry-Yadkin EMC to provide an accessible program for its members and to cultivate a broad awareness of the need to expand energy efficiency programs throughout the region. Do you know what energy efficiency options your utility offers? Visit the Energy Savings Action Center to find out! And if you are a Surry-Yadkin EMC member, take action here or contact ridge@appvoices.org to learn about volunteer opportunities. Stay informed by subscribing to the Front Porch Blog.